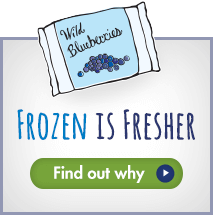 Wild blueberries are an important crop in Atlantic Canada but can growers overcome hurdles? Standing on a hill in one of his blueberry fields in Sable River, Peter Van Dyk turns this way and that to avoid the wind and speak on his cell phone. The second generation wild blueberry producer’s fields are spread across half a dozen counties in southwest Nova Scotia, and visiting some fields from home in Caledonia, Queens County, adds 4 hours to his working day. In a normal year, he would harvest 250 acres, but this year, he’ll reduce that number by 50 acres; next year, he plans to harvest only 70 acres. Celebrate this delicious super berry, indigenous to North America, at the Sunday Artisan Market. Learn, taste, eat and shop from more than 20 food producers, preservers, bakers and chefs, all featuring delicious wild blueberry products. Sample delectable wild beverages and snacks made with local ingredients at the Sunday local food court. Chef Christine Tizzard will be on site, giving visitors insight into the nutritional benefits of wild blueberries with her wild blueberry culinary demo alongside vendor demonstrations. Learn the story of this unassuming but iconic North American berry’s cultural history and discover innovative ways to enjoy this fruit year-round – whether fresh, dried or frozen. Don’t forget to drop by The Sipping Container for a limited-time only selection of wild blueberry beverages from Great Lakes Brewery, Collective Arts and Alchemy Pickle Company. Visitors can also take part in children’s wild blueberry cooking activities and arts and crafts in the Children’s Garden throughout the day. How do top chefs prepare for celebrations whether for Canada Day or any special day on your calendar? We asked Chef Tim Mackiddie of Jackson-Triggs Estate Winery, to give us his top 5 tips. Scroll through for Chef Mackiddie’s recipe for spring’s best veggie, asparagus, and the ultimate Canada Day condiment, Jackson-Triggs Sparkling Maple Bacon Jam. And if you like to make preserves out of fresh fruit, chef has offered up two more made-in-Canada recipes including the Jackson-Triggs Reserve Merlot and Wild Blueberry Jam. Packed with nutrients and a whole lot of flavour, this season’s littlest fruit now gives you more of a reason to indulge in their goodness. A study, led by Dr. Kalt of Kentville University in Nova Scotia, indicated that the blue pigmentation found in the skin of wild blueberry contains a high content of anthocyanin, which is a compound that kills the free radicals in the human body. Founded as an Indigenous-owned co-operative, this north-end complex houses a supermarket, an arts store (with artisans often working on-site) and a casual lunch and brunch space featuring Indigenous ingredients such as wild blueberries, Manitoba-caught fish and wild rice. Menu items include bannock pizza, pickerel or bison burgers, and a vegetarian “three sisters” soup with squash, beans and corn. Since May 1, Air Transat has been offering two new dishes featuring local ingredients like wild blueberries and smoked meat, in addition to bringing back four passenger favourites and two breakfast meals.